After the war, Jeremiah needed space. He made it by killing people who needed such treatment. The bloody trail left by this civil war veteran trying to outrun his demons is one you’ll want to read in a safe place. Jeremiah Jones set off to war, a boy full of pride and ignorance, seeking glory and to prove his manhood. That boy never returned. Wounded to the depths of his soul, Jeremiah clung to sanity only by holding tight to the memory of Maggie, the girl he’d loved since the first time he saw her in his father’s church. But Maggie had married another. His soul seeking peace, but his warrior’s heart wanting only battle, Jeremiah’s mind is caught in the middle, between heaven and hell. Though he rides the saddle-preacher circuit, bringing the word of the Lord to all who’ll listen, inside rages the killing beast that war birthed within him. The only company he can count on are two ghosts–the man he fought beside and the first who tried to stand against him. Cold company indeed, for that long journey home. Mel Brooks would enjoy the heck out of Clueless Gringos in Paradise. 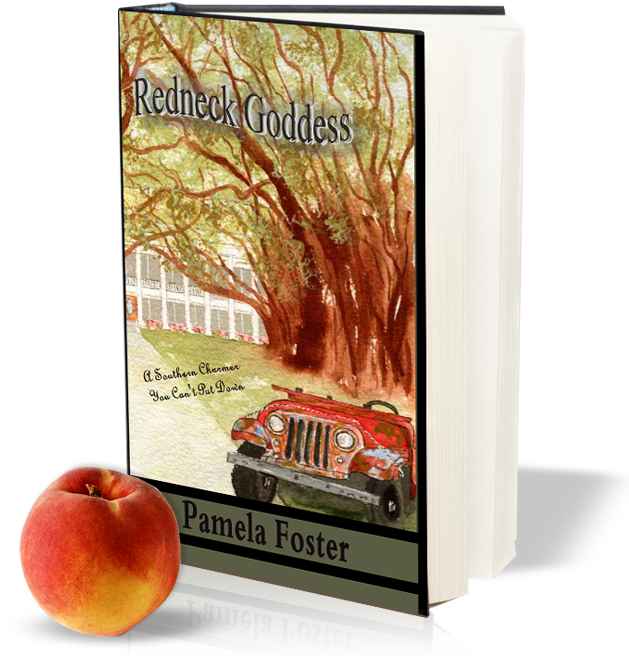 Author Pamela Foster and her Vietnam Veteran husband, Jack, sell everything they own, pick up the leashes of two 150-pound service dogs, and emmigrate to the “tropical paradise” they expect to find in Panama. Jack is a former marine with raging PTSD, and the service dogs are mastiffs who are never further away than the end of a leash. The story takes readers through a hilarious and harrowing journey in airplanes, taxis, high-rise hotels, buses, boats, restaurants and cat-infested fish markets. Add a liberal dose of high anxiety – how could it not be hilarious? $3 from the sale of each copy of My Life with a Wounded Warrior will be donated to FreedomDogs. When night falls on another Veteran’s Day, when the le­ft-over chicken waits in plastic tubs for a quick breakfast the next day, and the confetti is swept from the streets, and the flags are folded in tight triangles, when the holiday ends, most of us get on with our lives. But for those warriors who carried an M14 along a jungle trail, who patrolled the streets of Fallujah or Bagdad, who developed the skills to survive and return to us, for those combat-seasoned men, life does not exactly just go on. My Life with a Wounded Warrior is the true story of the joys, challenges, and lessons of living with Post Traumatic Stress Disorder, or PTSD. This collection of deeply honest personal essays shares Pamela Foster’s twenty-five years of living with and loving a combat Marine, a veteran of Vietnam. With humor and love and respect, as well as with frustration and anger and sadness, Pamela Foster li­fts the curtain on the true cost, the individual cost of war, and gives hope and joy and laughter to those who love their own wounded warrior. 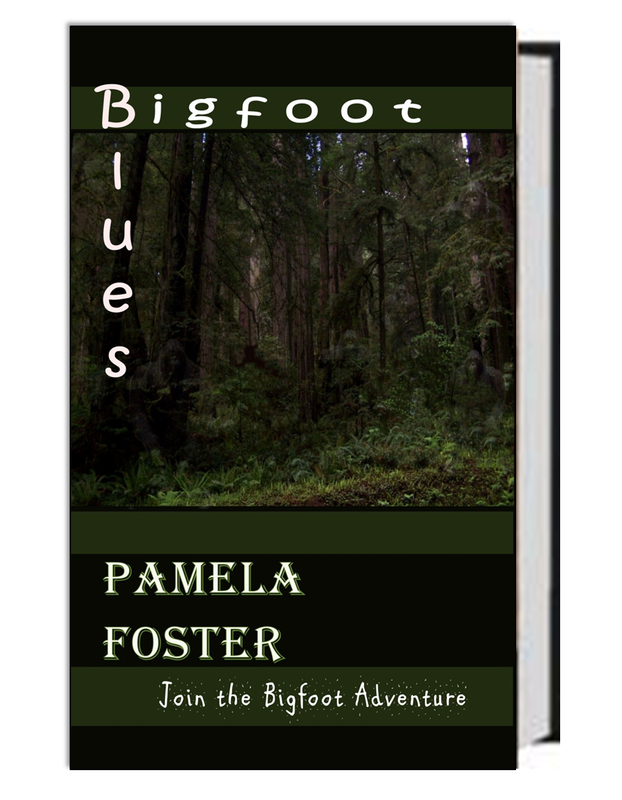 Fayetteville author Pamela Foster is best known for her novels, Redneck Goddessand Bigfoot Blues. 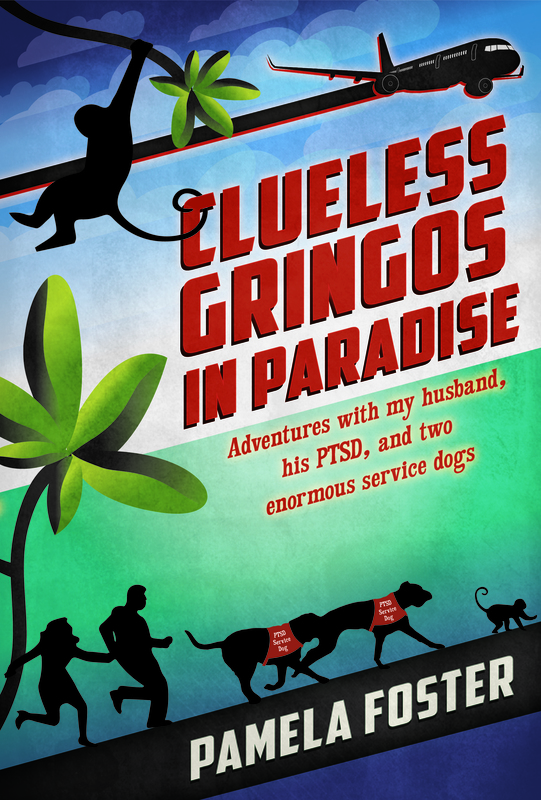 But on November 30th Pen-L Publishing will release her newest book, Clueless Gringos in Paradise – the humorous and true account of moving to the country of Panama with her husband and his two enormous PTSD service dogs, Chesty and Rocca. As a companion book, the author has also self-published a book of personal, deeply honest essays, My Life with a Wounded Warrior. 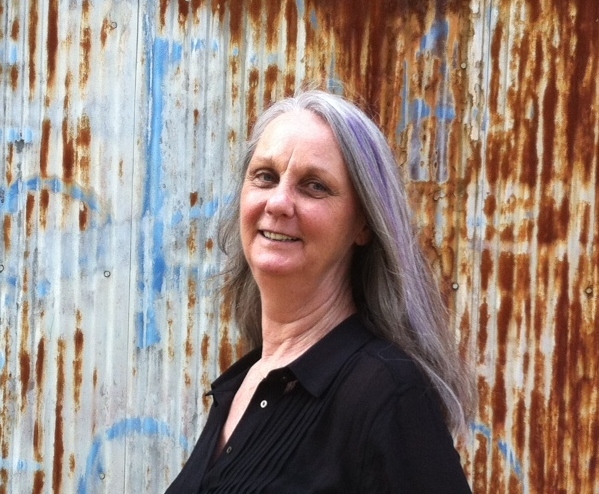 Foster says that writing is her escape and her joy and so for years she avoided the subject of war trauma. Clueless Gringos in Paradise is an honest, funny look at what happens when, in a desperate attempt to escape the ordinary gray world of PTSD, Foster and her husband immigrate to the tropics with two huge Cane Corso Mastiffs tethered to their wrists at all times. The dogs travel at their feet in the passenger section of the commercial airplane; on bumpy taxi rides; by their sides along busy city streets. Chesty and Rocca lie under restaurant tables, jump from floating piers to moving boats, and ride in glass elevators. Along the way the dogs encounter poison dart frogs, roaming hordes of cats, and ferocious buzzards. There are lots of books out there that ploddingly examine Post Traumatic Stress Disorder, and there are a few that take an honest, personal look at the symptoms. But, both Clueless Gringos in Paradise and My life with a Wounded Warrior lift the curtain and allow the reader to peek inside the marriage of two people who love one another through the pain, and laugh at the journey. You ought to approach the writers colony at Dairy Hollow or the Carnegie Library about doing a reading up here in Eureka Springs, so I can do an article on you for the local paper. Your books sound awesome. p.s. I heard about you via the Book Cave. I’ll do that right now, Don. Thanks.